For many reasons my obsession for stripes, I could say, is strong but perhaps the main reason is that stripes could be timeless like seen in these images below. 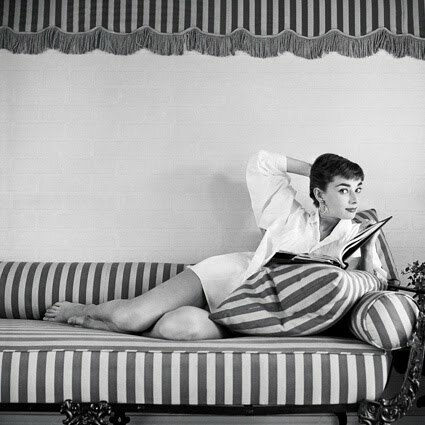 A bathroom featured in 1995 by Elle Decor that still looks up-to-date and a photograph of Audrey Hepburn lounging at her home on a striped couch are two great models of its classic influence. Audrey Hepburn at home photographed by Mark Shaw. 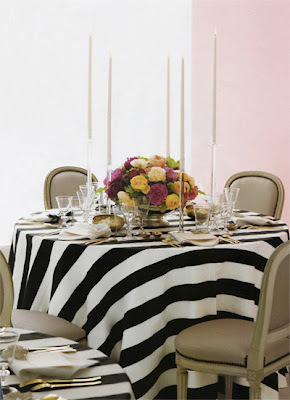 Top image by Elle Decor. 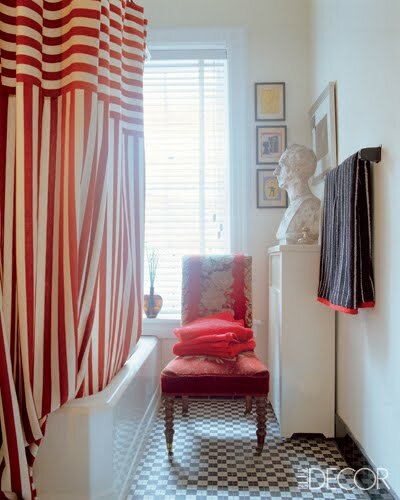 You have read this article Audrey Hepburn / Bathroom / classy design / stripe / stripes with the title Stripes= classic. You can bookmark this page URL http://ourpicturewindow.blogspot.com/2010/06/stripes-classic.html. Thanks! No comment for "Stripes= classic"